While the 2015 Colorado closely resembles the larger Chevy Silverado, it should be seen as a lot more than just its junior counterpart. This rugged midsize pickup is a good 900 pounds lighter and 17 inches shorter, featuring a sportier and more swept-back look that’s attractive to drivers who want all the benefits of a truck but not a massive footprint or V8. Additionally, its improved aerodynamics aide to this midsize pickup truck’s improved fuel economy. The Chevrolet Colorado will be available in both an Extended Cab, with a six-foot bed, or Crew Cab, with a five-foot bed, body styles. Available trims include a base, LT, and an off-road focused Z71 – all with four-wheel drive possibilities. The Chevy Colorado comes with a base 2.5L four-cylinder engine with an estimated 193 horsepower and 184 pound-feet of torque. This base engine is great for drivers looking for a midsize pickup able to handle off-road and light carrying duties around town. However, if you have visions of bigger toys and bigger payloads, pick up a model with the increased 3.6L V6 engine with an estimated 302 horsepower and 270 pound-feet of torque. This engine should be capable of towing up to 6,700 pounds of equipment and toys. For pickup-friendliness, all models include must-have features such as standard corner steps, 13 tie-down locations, and an easy two-tier loading system. Drivers also have the option of upgrading to a spray-in bed liner and Chevy’s unique EZ Lift-and-Lower tailgate. Improvements don’t stop at the exterior. The 2015 Chevy Colorado features an upscale interior that far exceeds what’s being offered in the competing Tacoma or Frontier. Sliding entry is easy, and the cab features triple-sealed doors, thick, noise-cancelling windshield and side glass, and improved seats with plenty of rear passenger space. Drivers can choose between either leather-appointed or clothes seats, both shaped for maximum support and comfort. Above, sculpted headliners provide that desirable extra space for taller drivers and passengers, or for short passengers with great hats. The LT and Z21 models will feature a unique eight-inch color touchscreen information and entertainment system, in addition to a 3.4-inch driver information screen located in the instrument cluster. Drivers can choose to integrate the Chevy MyLink system, as well as the latest OnStar suite of helpful and attractive telematic goodies. All of the Chevy Colorado models include a huge center console great for storing gadgets and gear, with four integrated USB ports for convenient charging and syncing. To learn more about the 2015 Chevy Colorado, about other great new and pre-owned Chevy models, or to test drive a vehicle, visit us at Burlington Chevytoday. 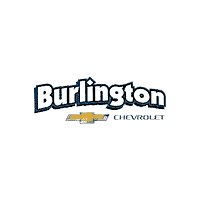 Burlington Chevy is the top dealer for all New Jersey and surrounding area drivers. With a large inventory of new and used vehicles available, we take the time to listen to your vehicle wants and needs to help best match you with a vehicle that will fit you. Our full selection of service areas includes New Vehicle Sales, Pre-Owned Vehicle Sales, Car Loans and Financing, Certified Service Department, and a Full Selection of Chevrolet Parts and Accessories. You can reach us by the phone at (866) 238-5991, or visit our dealership at 105 E Rt 130 South, Burlington, NJ 08016.